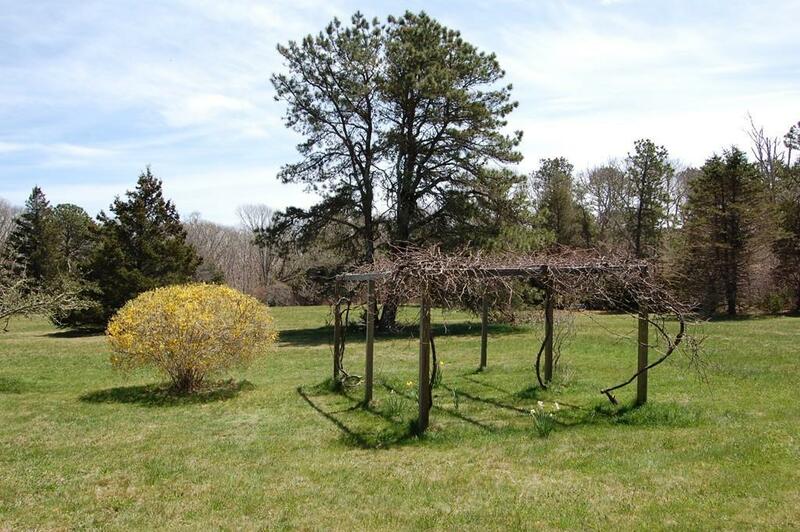 This quintessential Vineyard retreat is located just 1.5 miles to West Tisbury on a large 5 acre lot on South Road. 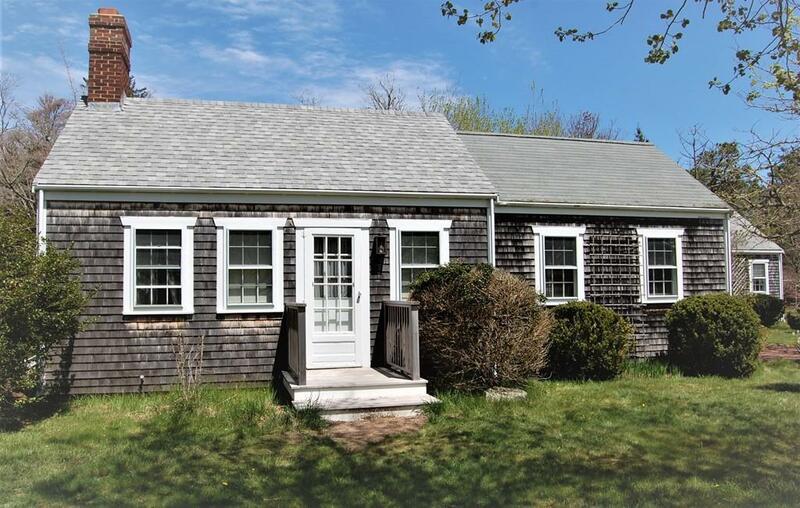 Upon entering this charming Cape you are immediately greeted with a warm yet dramatic post and beam living room with cathedral ceilings and a wood burning fireplace encased in a custom made floor to ceiling wood surround. The kitchen includes a small island and an additional room which could be used as a more casual eating area or sitting room. There is a bedroom and a den and bath in this section of the house leading to an inviting long corridor which provides access to the second bedroom and finally the master en suite. The home has a full house generator. The large lot enables the buyer to add a guest house, barn, garage, pool, etc with town approvals. 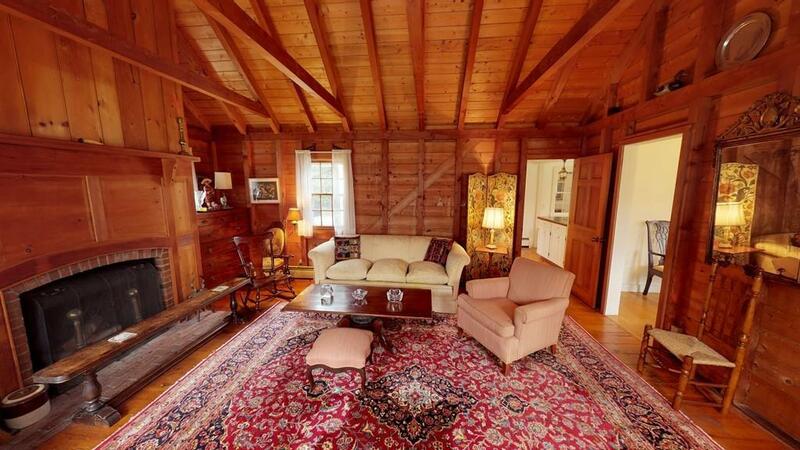 Listing courtesy of Jean Kelleher of Kelleher Real Estate Services Of M. Vineyard. 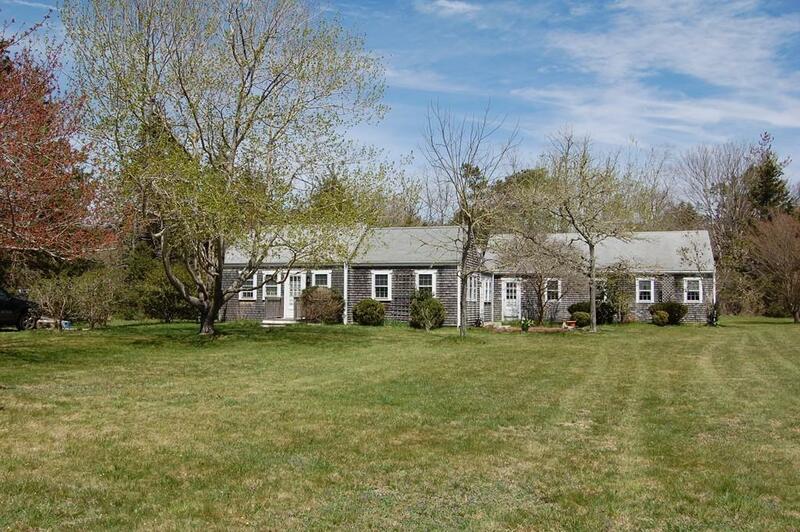 Listing provided courtesy of Jean Kelleher of Kelleher Real Estate Services Of M. Vineyard.